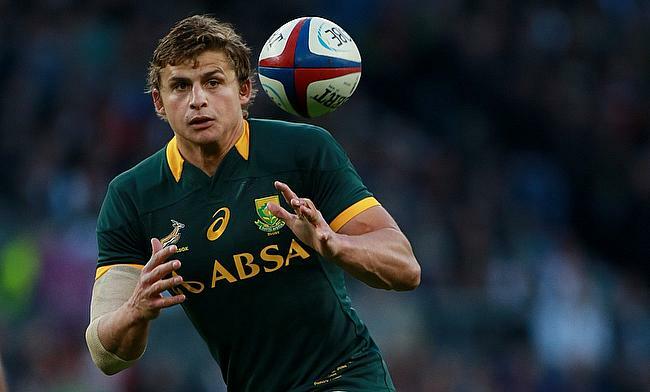 Former South Africa fly-half Patrick Lambie has announced his retirement from professional rugby with immediate effect after failing to recover from concussion related issues. The 28-year-old, who has played 56 times for South Africa since his debut in 2010 has been battling with a number of concussions in the last three years. A head injury that he sustained during the home series against Ireland during June series in 2016 kept him out of action for considerable amount of time while he suffered another blow while playing for his club Racing 92 against Munster in April last year. The talented fly-half admitted that every time he suffered a head injury it took longer time to recover and further insisted that he is unwilling to risk his health despite the World Cup is around the corner. "But on the other hand, I feel relieved to know that I will not be at risk of further, more serious head injuries". Lambie also said the decision was taken after consulting specialists with all the possible recovery methods failing to give the desired results. Lambie made his professional rugby debut in 2009 with Sharks and had represented South African Under 20 side in the past. He switched to Racing 92 in 2017 and his last Test appearance for South Africa came in 2016 against Wales.